NEW YORK (Reuters Health) – In a study of middle-aged and older people with type 2 diabetes, declines in thinking and memory that are often linked to later dementia happened faster in those who were depressed compared to those who were not. SOURCE: http://bit.ly/14dzaaQ JAMA Psychiatry, online August 14, 2013. For the study, moms self-reported depressive symptoms — such as loss of interest, fatigue, low energy and poor concentration — along with their children’s body mass index (BMI) at age 5. The researchers controlled for such factors as decreased access to parks and fresh produce and still found the link. “They are less responsive to their child’s needs, choosing parenting strategies for coping that require less cognitive effort and often neglect to set limits on the child’s behavior,” the study reports. Feeding practices, such as preparing daily breakfast, modeling healthy eating and setting limits on the child’s diet, all require active maternal involvement, Gross said, possibly explaining why these practices were less common among depressed mothers. The American Academy of Pediatrics has updated its guidelines that emphasize the importance of maternal mental health, said Gross. 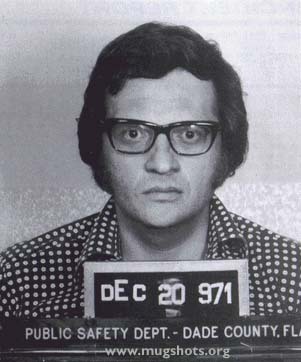 Larry King is a household name in America and has cast his influence across the Pacific and Atlantic oceans reaching shores across the world. The lively TV personality has anchored the entertainment industry for years and has notched an impressive amount of interviews down the years – more than 40,000 to date. He has soldiered on dogmatically since 1987 when he suffered a heart attack and had to undergo quintuple bypass surgery. Larry looks back at his life prior to the heart attack and pins the blame squarely on his three-packs-a-day smoking habit. The heart problems subsequently triggered depression and led him down the path to the darkest period of his life. 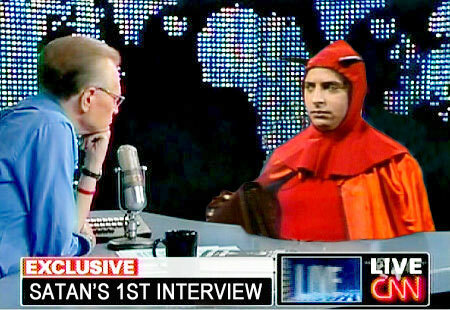 Despite the crippling depression he remained open about his illness ad spoke honestly about it on his shows ‘Larry King Live’ and ‘Larry King Weekend’. His family background is littered with stories of depression, his brother being the worst affected. But Larry found a way out of the situation and soon got work on raising awareness of mental health conditions. Although he interviewed numerous celebrities in his career it was his special show on depression got really drew all the plaudits. Celebrities including Drew Barrymore, Carrie Fisher, Mariel Hemingway and Brooke Shields poured their hearts out on the show and he sympathetically listened to their stories of depression and their remedies, solutions and recoveries, all the while understanding their situations. Jemma Kidd is a successful career woman, mother of twins and somehow manages to be both model and girl-next-door with consummate ease. Behind the often smiley demeanor portrayed in the media, Kidd hides a torrid struggle with anxiety and panic disorder; an overwhelming illness that can literally paralyse sufferers. Panic disorder and anxiety attacks are the most common anxiety disorders and affect at least 20% of adult Americans. 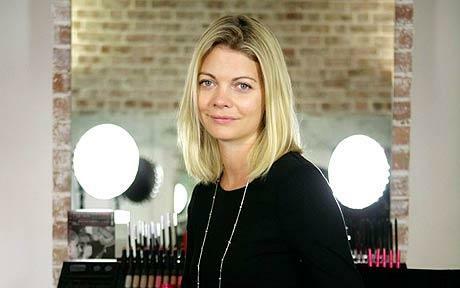 In an interview with Fiona Shield for Celebrity Angels, Jemma described how the crippling disorder adversely affected her life on a daily basis. A panic attack is an exaggeration of the body’s normal response to fear or stress. According to the Anxiety and Panic Disorder Center of Los Angeles, when we experience a threatening situation, the ‘fight or flight‘ response takes over and the body prepares itself for danger by releasing adrenalin. The physical symptoms that accompany this include rapid heart rate, palpitations and an increase in blood pressure and hyperventilation. For most of us these symptoms taper off and the body is restored to it’s normal state but when the body produces too much adrenalin, the sufferer can be left experiencing absolute terror that can linger on for hours. In the worst case scenarios a person might pass out but according to records nobody has ever died as a result of a panic attack. Jodie suffered from the disorder throughout her twenties and she credits Charles Linden ( who developed the Linden Method) with helping her find mechanisms to deal with panic. Experiencing up to 20 panic attacks a day, Linden came up with a routine to treat his own symptoms and break the habitual nature of anxiety. The dive reflex– When you feel a panic attack building up, take a towel, soak it with cold water then place it on the back of your neck. You can also splash your face with cold water. Diversion– Do anything to divert your mind. Put on headphones and listen to music, practical chores, count trees or lampposts, immerse yourself in whatever is present and practical at the time. Eat a cold apple– When you feel an attack is imminent take an apple from the fridge and eat it very slowly. This will help to slow your breathing and the coldness of the apple helps to create positive, non-anxious sensations. 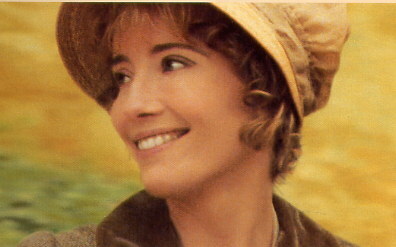 Emma Thompson has known the highs of stardom as an iconic British actress and screenwriter but she has also tasted bitter, emotional lows because of her long running battle with depression. The English rose says her depression led her to such lows that at one stage in her life she didn’t wash or dress. “I’ve certainly been there, in various depressions, when you never wash, and wear the same things all the time,” she told her interviewerfromEasy Living magazine. Thompson looks back to the 1980s when she first had clinical depression at a time when she was performing in a stage version of Me and My Girl. “I really didn’t change my clothes or answer the phone, but went into the theatre every night and was cheerful and sang the Lambeth Walk. That’s what actors do,” she told the Telegraph. But for Emma the perfect tonic was work and it served as her income and saviour in those dark times. She points to her writing work on Sense and Sensibility for which she wrote the screenplay and starred her husband Greg Wise and fellow British actress, Kate Winslet. She unofficially adopted a 16-year-old Rwandan orphan, which she says made it possible for her to “balance” herself, rather than constantly trying to escape into a “fantasy world”. As with so many cases, the illness is never far away, but through help, therapy and meditation, a lot of people manage to keep it at bay. Poor Idiosyncratic contemporary folkster Sufjan Stevens has revealed that watching Wes Anderson’s Fantastic Mr Fox led to him suffering a nervous breakdown. During an interview with UK newspaper The Observer, the quirky singer/songwriter acknowledged that he’d been afflicted by mental health issues which affected him so heavily that doctors proscribed avoiding crowded rooms and noise. Sufjan has always had a propensity towards depression although that’s fairly run of the mill for a sensitive musician type of his ilk, but things came to a head during the recording of his last album when he considered retiring from music completely. In the interview he recounts how he tried to deal with his problems whilst recording the album, explaining that he’d woken up one morning and experienced adrenaline like rushes in his chest. After three months of no stimulus such as films Sufjan sat down to watch Fantastic Mr Foxbut found the experience intolerable; a harsh review some might say. Once recovery was underway and the album, The Age of Adz, completed, he was able to watch the film again but with a greater level of enjoyment. He described it as “beautiful”. “I went through a period of questioning motive and function and now I no longer have the privilege of questioning. 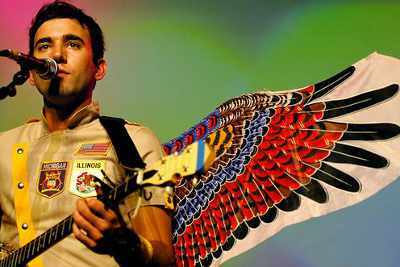 I just have the privilege of celebrating my music and sharing it,” Sufjan said about his songwriting. Creativity and mental illness often seem to go hand in hand and scientists have been studying the common links between the two for centuries. In fact, since the time of Aristotle, links have been noted between creativity and melancholia. Other musicians who’ve experienced depression and mental illness include Brian Wilson of Beach Boys fame, Syd Barrett, Joy Division’s Ian Curtis, and Nick Drake. The final two taking their lives due to depression. I was going to write another interesting article about Beyonce’s latest amazing revelation – that pregnancy is a gift – but then thought that even the most persevering of CWD readers would become bored of the spoilt, small-minded woman’s inane babble. SO, for a change, we get Kirsten Dunst instead! According to an interview published in Flare magazine, the 29-year-old think people who don’t suffer from periods of depression at some point in their lives are pretty strange. Dunst, who has admitted to struggling with the disorder in the past, says, like many others, that it still a lot of stigma surrounding the issue. Thanks for the insight, Kirst. Actually, I don’t really have anything negative to say about Kirsten Dunst. It is possible that privately she, like Beyonce, is an irritating and boring little brat, but she’s been in some cool films. And I’d say to have been picked for a leading role by Lars von Trier is a good indication of one’s coolness. Lars von Trier’s latest film, Melancholia is due out in the next month. The director himself describes it as “a beautiful film about the end of the world”. And if you watch the trailer, I think you’ll agree that it certainly looks pretty visually stunning. Anyway, Kirsten Dunst plays the role of Justine alongside Charlotte Gainsbourg, her on-screen sister, Claire. Justine has just got married, but all the while the earth is being approached by a rogue planet, signaling the end of the world. [adsense]The idea for the film originated during a therapy session Lars von Trier attended because he suffers from depression. The therapist told Trier that depressive people tend to act more calmly than others under heavy pressure, because they already expect bad things to happen. Trier then developed the story not primarily as a disaster film, and without any ambition to portray astrophysics realistically, but as a way to examine the human psyche during a disaster. The movie premiered in May this year at the 64th Cannes Film Festival. Dunst received the festival’s Best Actress Award for her performance. Click here to find out more about Melancholia. 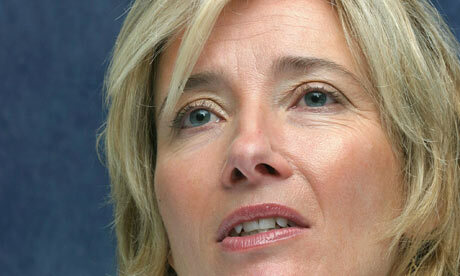 Emma Thompson has known the highs of stardom as an iconic British actress and screenwriter. But she has also known the lowest lows due to her battle with depression. The 51-year-old says her depression was once so bad she was unable to wash or even dress herself. “I’ve certainly been there, in various depressions, when you never wash, and wear the same things all the time,” she said in an interview with Easy Living magazine. Thompson thinks her first bout of clinical depression occurred in the 1980s, when she was doing on-stage performances of Me and My Girl. Thompson says work was the saviour. She refers to her work on Sense and Sensibility, starring Kate Winslet and her now husband Greg Wise, for which she wrote the screenplay. 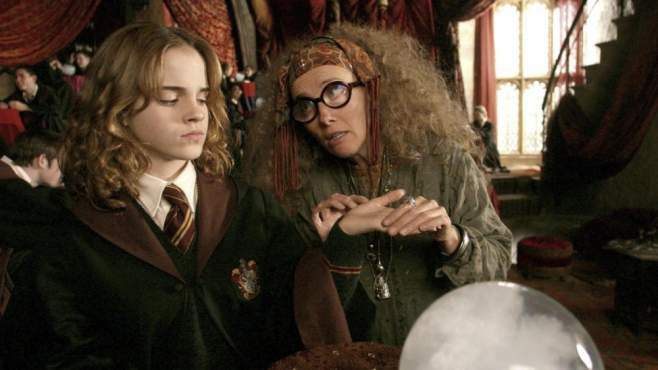 Nine years ago, the actress unofficially adopted a 16-year-old Rwandan orphan, which she says made it possible for her to “balance” herself, rather than constantly escaping into a “fantasy world”. Read about other celebrities who suffered with depression such as Hugh Laurie; Owen Wilson; Mel Gibson; Alanis Morrissette and Halle Berry.